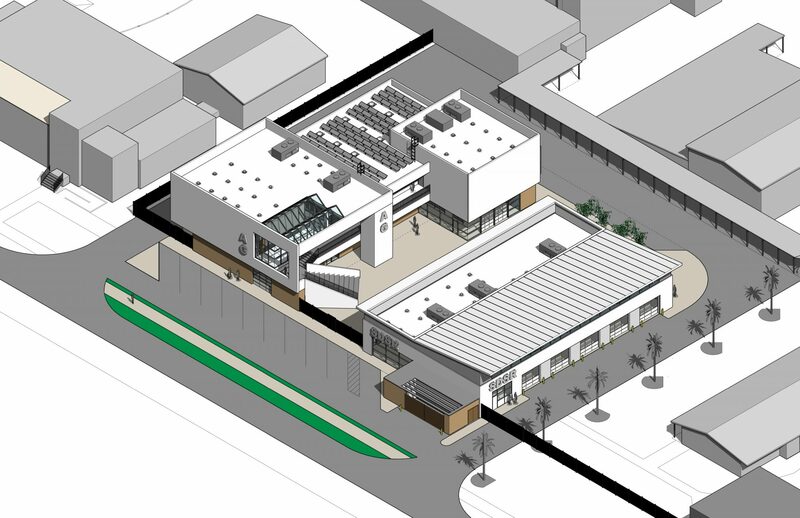 In May, Fillmore USD secured $3 million in Career Technical Education project funds for Fillmore High School. Westgroup Design’s architectural solution will bring two new CTE buildings to the campus that will support Transportation (i.e. automotive) and Agriscience/Agricultural Mechanics pathways. The facilities will give students hands-on experience with state-of-the-art automotive diagnostics and repair equipment, greenhouse horticulture, and wood, metal and CNC fabrication. In July, Orange County was graced by the presence of the Dalai Lama for the occasion of his 80th birthday. WD’s design creates a modern, state-of-the-art multi-building campus featuring student quads and an open, pedestrian experience. Westgroup Designs completed the design of 210,000 SF at both sites with tier 1 and tier 2 DSA/OPSC approvals in less than nine months. A new creative office building becomes the first speculative office building in Southern California to achieve LEED for Core and Shell Platinum certification.